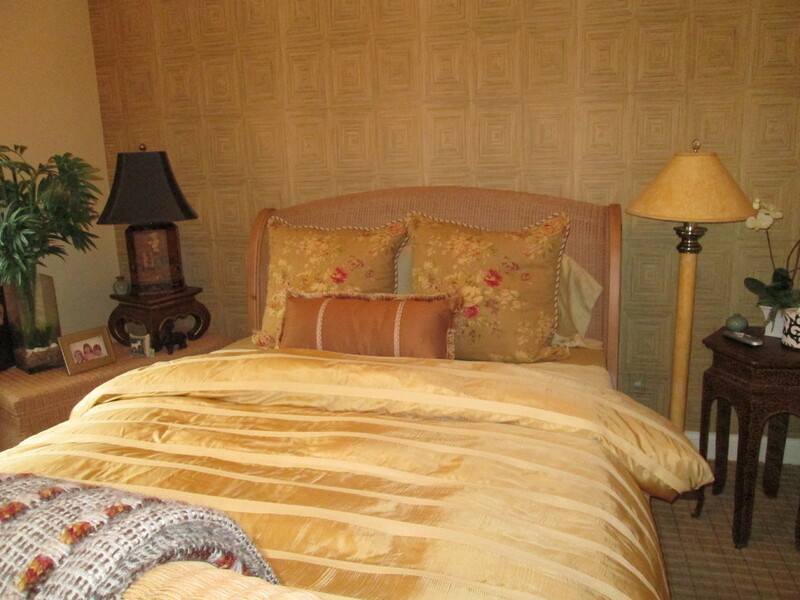 Decorative linen euro shams with lumbar pillow accent wall covering and room accents. 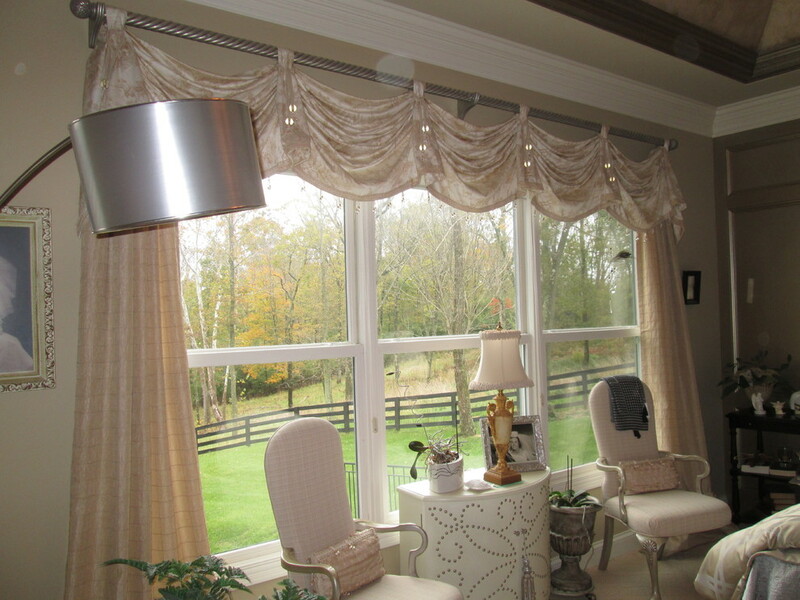 Linen fabric greek key valance with tassels. 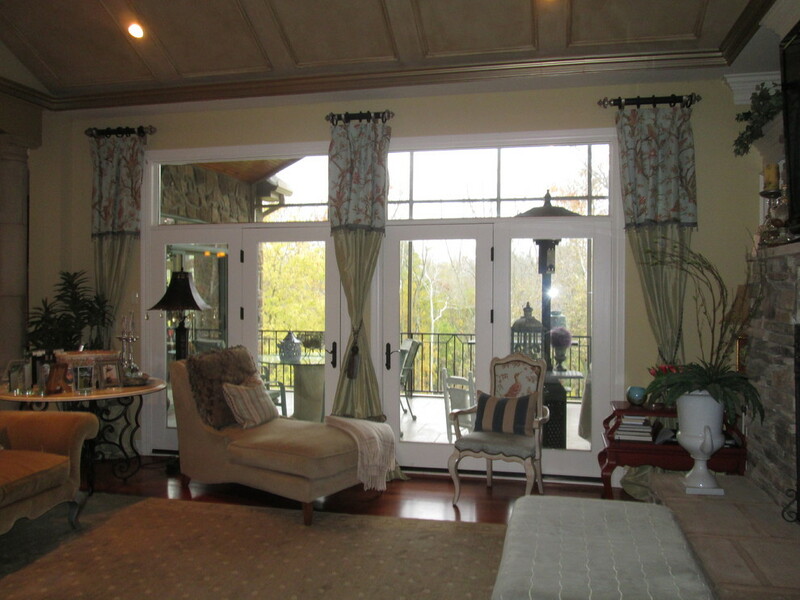 Decorative cording along top finishes the custom look. 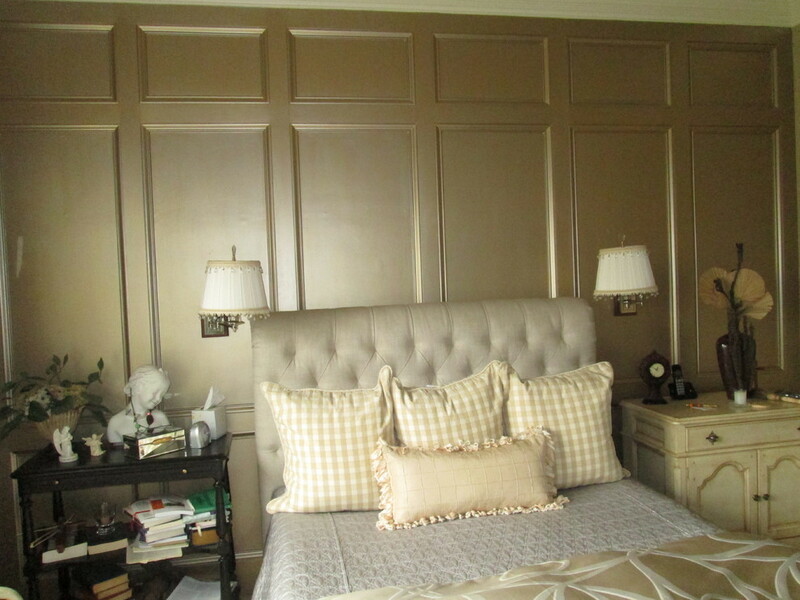 Euro shams with lumbar pillow accent wall covering and room accents. 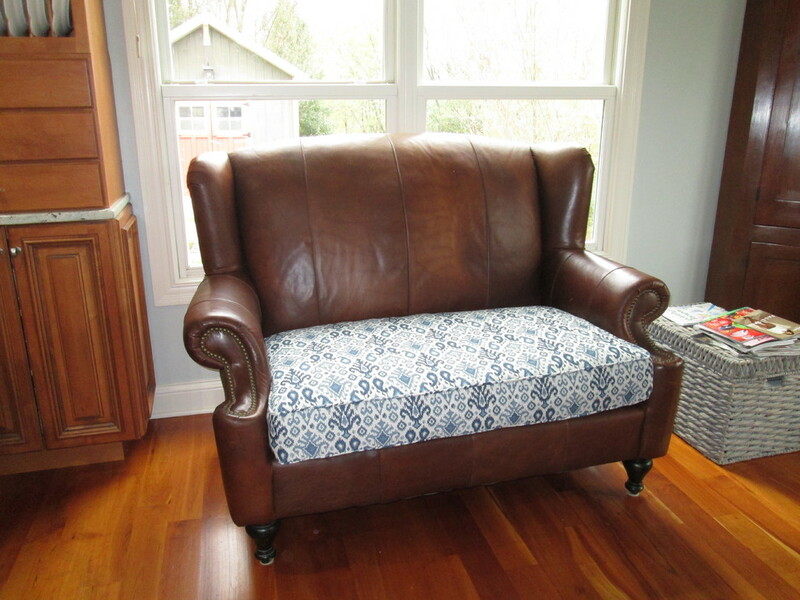 Cushion in multi-blue flame stitch fabric by Greenhouse update this comfortable leather settee. 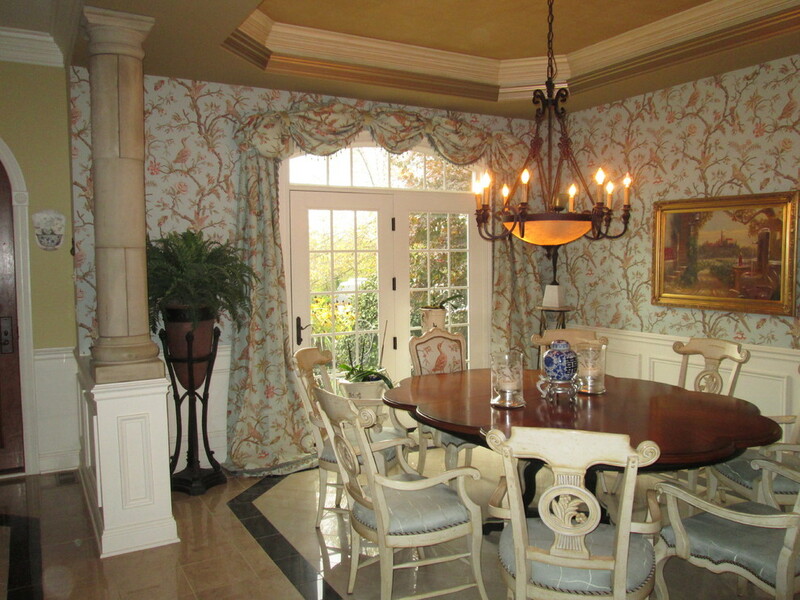 Thibaut Wallpaper & Fabrics used in combination to coordinate this elegant dining room look. The puff style treatments are unique with fabric bands and trim embellishment along the leading edge. 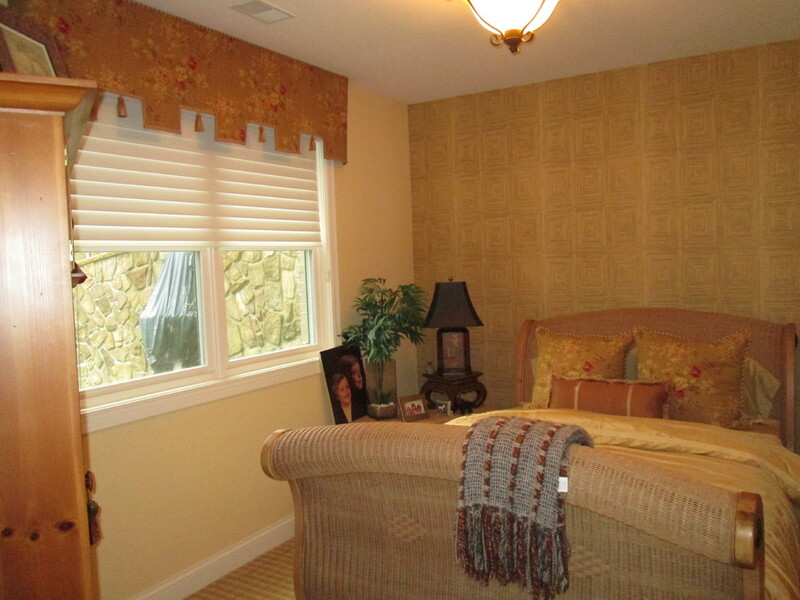 Silk cream and gold fabrics create a soft frame on this master bedroom window. Fun beaded tassels are used to cinch each of the bells that drape over the rope style drapery rod. 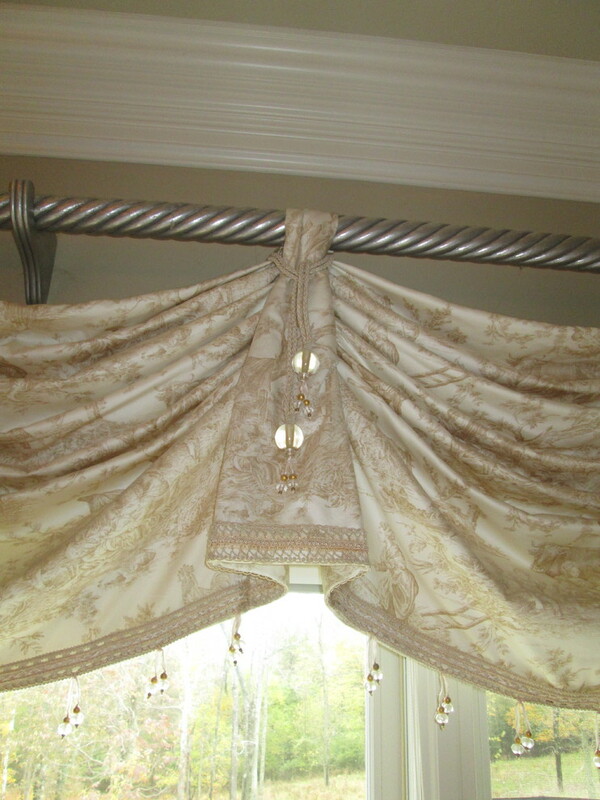 Bead trim hangs along valance bottom edge. 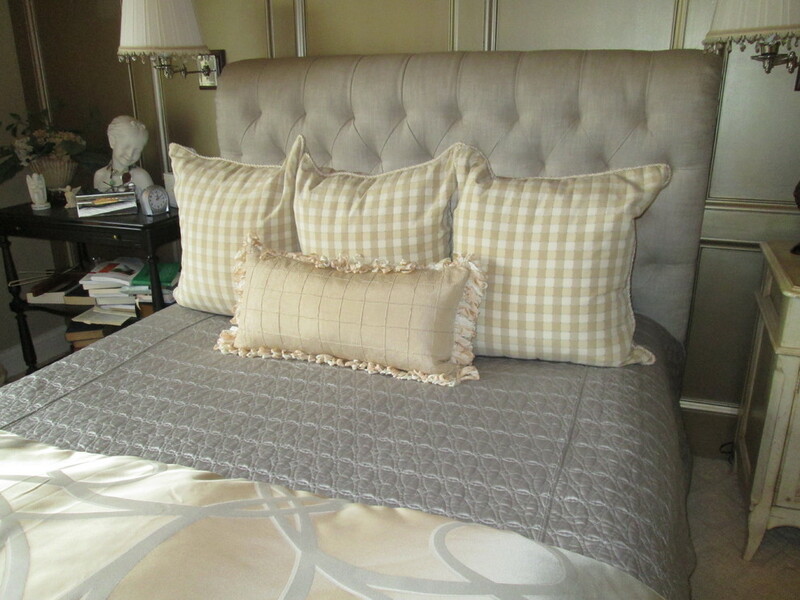 Medium check fabric euro shams with ruffled trim lumbar pillow. 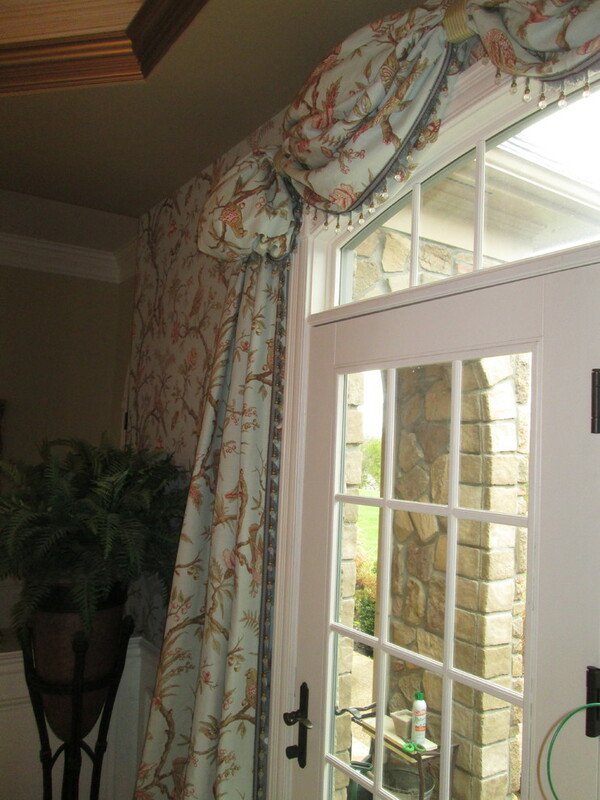 Color/fabric blocked silk is topped with Thibaut Fabric in a light blue cotton floral. 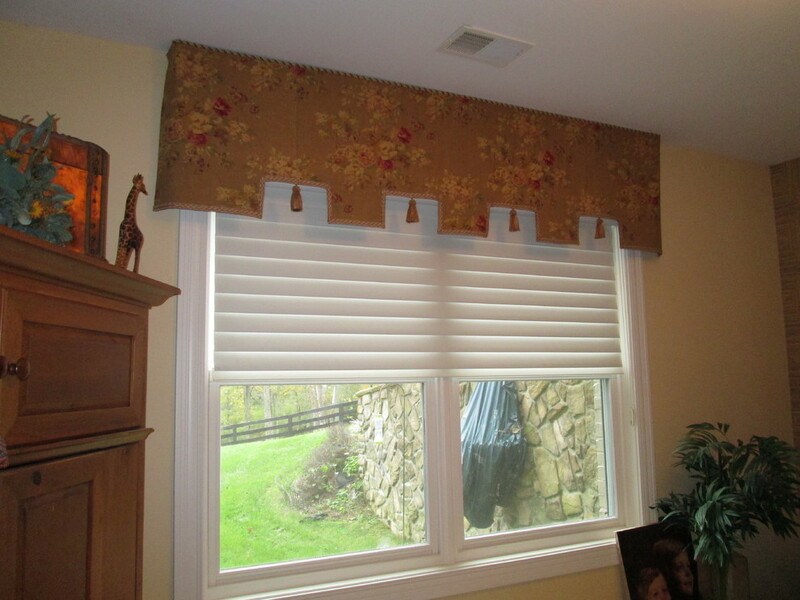 Bead trim decorates the bottom edge. Large multi-color tassels tie back each panel. 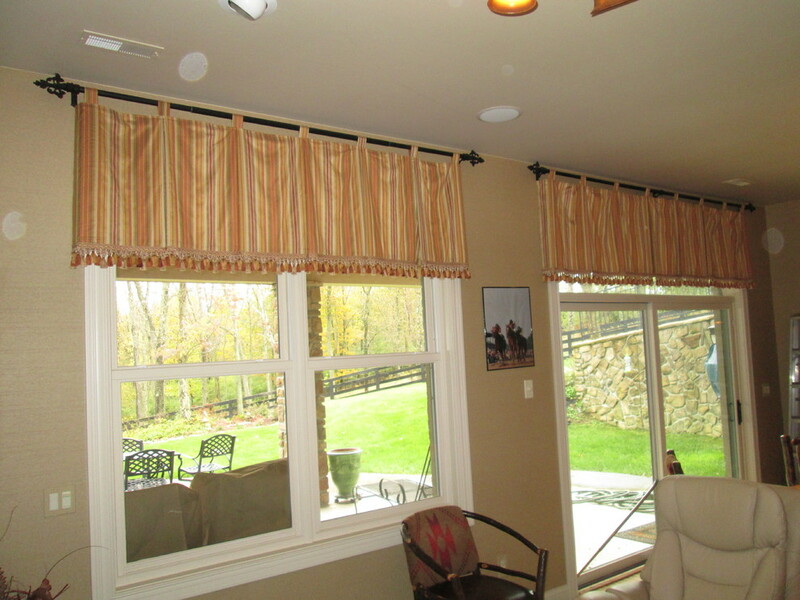 Flat panel with small inverted pleats. Thibaut classic blue and yellow wallpaper and fabric look stunning as stationary balloon shades with long bullion fringe accenting the bottom line. 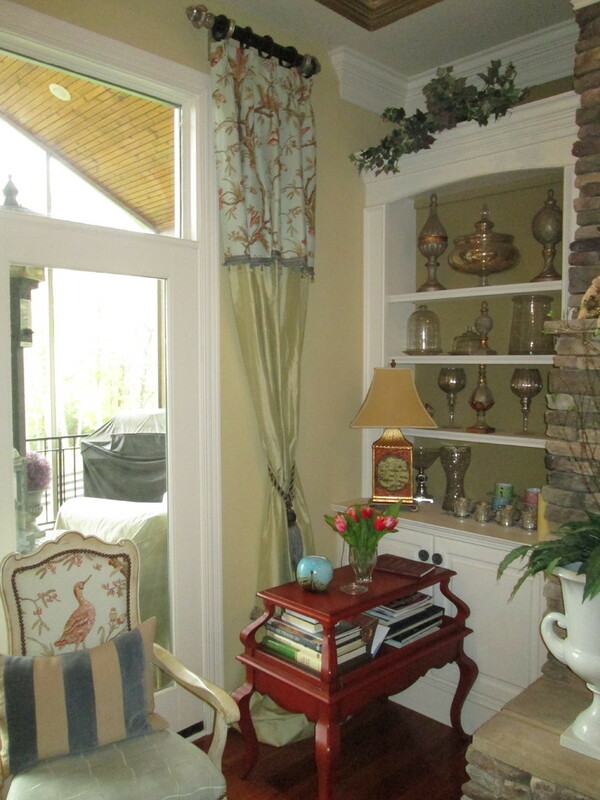 Decorative pillows using matching fabric and contrasting fabrics along bay window seat.